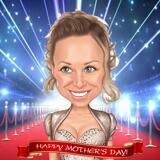 Are you still looking for a gift to your mom on Mother's Day? 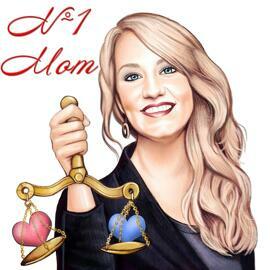 If so, you can commission our artist to draw a colored digital caricature drawing on your mom with any desired background design of your choice. 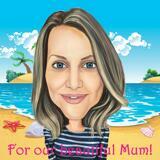 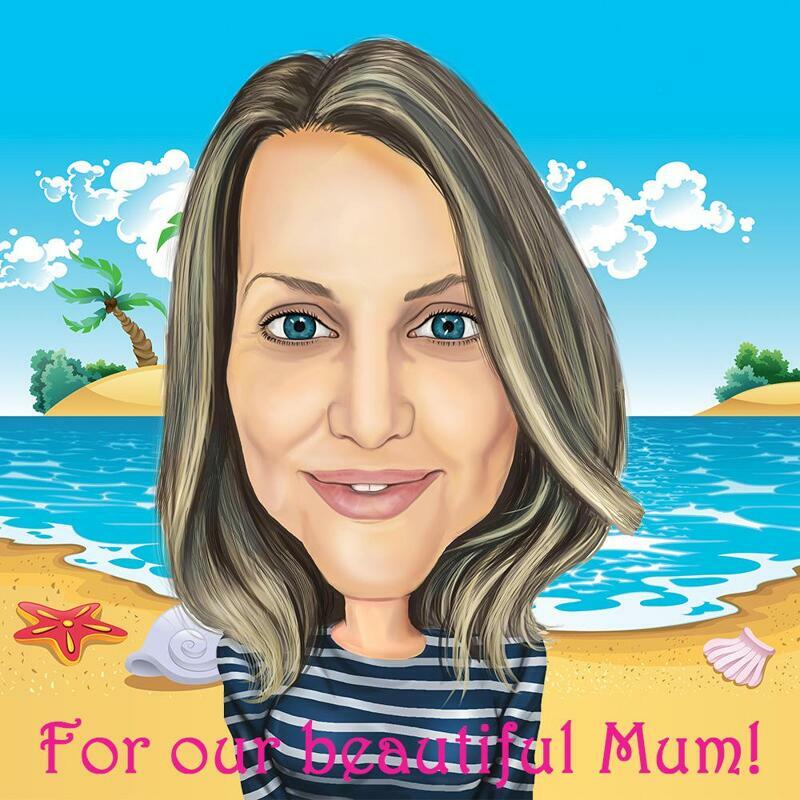 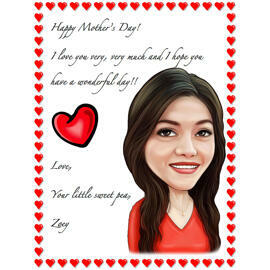 We strive to make any mum in the world as happy as never on this special occasion, so you can help us with the requirements which we will follow during creation of caricature drawing. 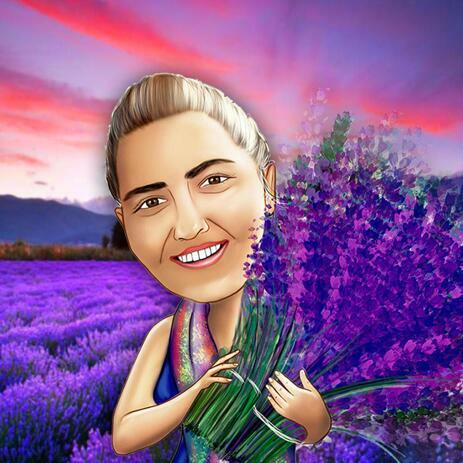 We will design a really bright, funny and very cute drawing which she would use as an avatar picture, business logo or she can simply print this digital drawing of herself on any desired surface like canvas, mug, t-shirt, photo paper and have it at home. 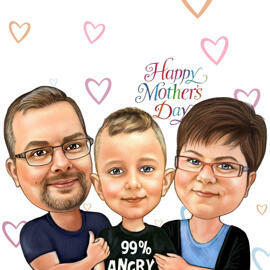 There are many possible ways of how to share this drawing with her. 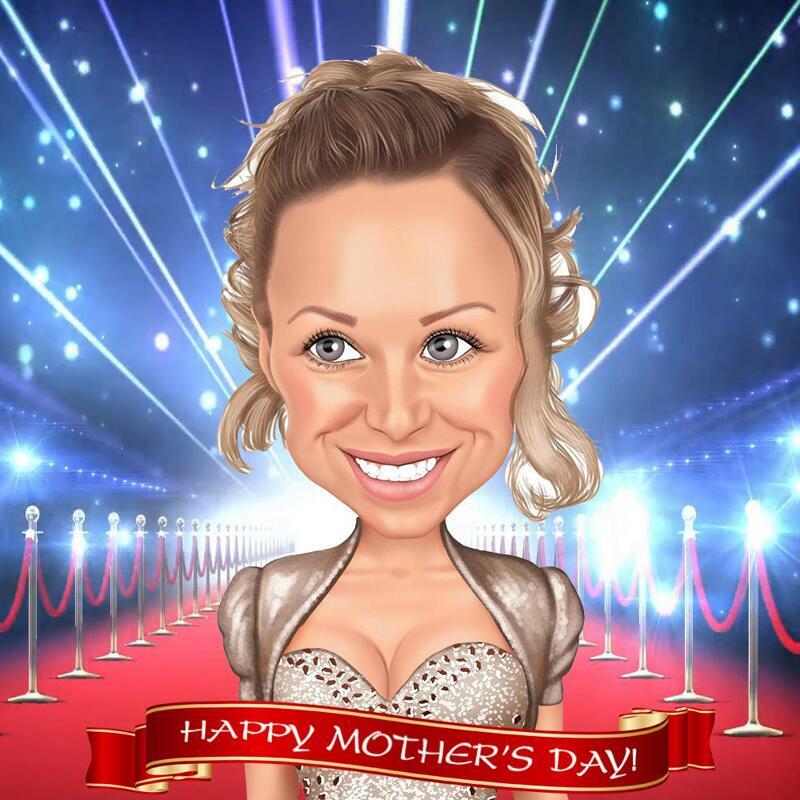 Send it to her via email, print it on mug and ship to home or come up with your own way of how to gift this caricature on Mother's Day and we will help you. 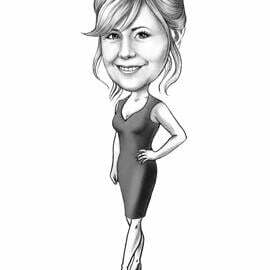 Woman Caricature Illustration drawn by Photolamus in digital style, will be delivered as a printable JPEG file of high resolution, which can be printed on any large surface of your choice. 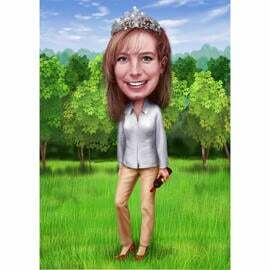 We also offer additional delivery options at extra cost: Ready-made Woman Caricature printed on Canvas, Apron, Photocopy or mug. 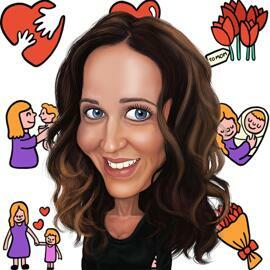 Select the most favorite delivery and we will ship it to any location around the world upon your request.